Ever wondered how to knit and crochet decorative flowers? Perhaps you have admired a brooch or seen a bag or purse embellished with a hand-crafted flower and thought "how have they done that?" I know I have, which is why this book caught my eye. 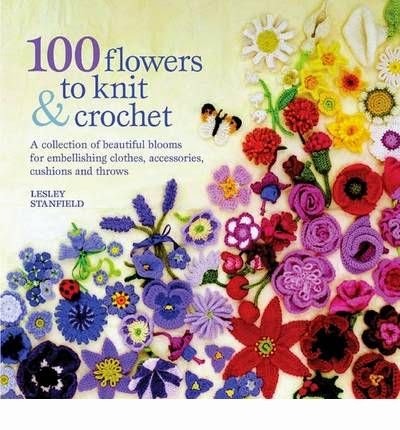 "100 Flowers to Knit and Crochet" is a delightful collection of flower to make. 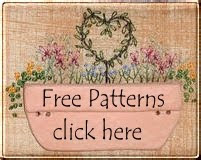 This work offers the perfect way to use up scraps of yarn or practice using novelty yarns - you can use them to decorate clothing, hats, bags and belts, embellish home accessories, or make a beautiful bouquet as an unusual display piece. Choose from simple spiral roses, pretty poppies, elaborate layered blooms, and fabulous felted flowers. The flowers are beautifully arranged on the pages, with stitched leaves and embroidered stems, and are cross referenced to a separate section featuring clear pattern instructions and information on yarn requirements. You will also find plenty of inspiration for embellishing your finished flowers with beads, buttons, sequins, and embroidery, plus ideas for using them in a range of fun ways, from unusual jewellery to decorating gift-wrapped packages. The sky's the limit! This book would be a wonderful item to have on any 'crafters' reference shelf. And the best news is that it is currently on sale for 36% less than normal.